Number 5a under the conditions section of the guarantee you linked: Deterioration of Certain Coins. The NGC Guarantee does not apply to certain Coins where the appearance of the Coin changes or deteriorates over time and such change or deterioration is responsible for any discrepancy between the assigned grade and the Coin’s actual grade. NGC shall make the sole reasonable determination as to whether this deterioration has occurred. The following specific parameters apply: In certain Coins, natural environmental deterioration may cause undesired features to appear, such as (but not limited to) spotting, hazing, PVC and corrosion. Spots, for example, can occur on modern silver Coins as a result of the minting process or other natural conditions over which NGC has no control. Therefore, the NGC Guarantee does not apply to Coins exhibiting any of these issues. I have never used the guarantee myself but as I understand it you can send the coin in for review and NGC can compensate you for the fmv of the coin, buy it back, or pay some amount that compensates for the loss of value. However looking at what I have posted it seems unlikely that you would receive any compensation in this circumstance. I believe that it has always been true (someone please correct me if not) that coins run through the restoration service are not eligible for the guarantee as the coin surface has been altered, albeit done professionally. Years ago PCGS gutted their guarantee and its just a shell of what it used to be as a result of a few huge claims, NGC amended their guarantee shortly after. Registry sets can be fun however like most things in life balance and proportion are very important. I have several registry sets but only two (maybe three) have ever won awards and that's perfectly ok with me. I cannot afford to play in the deep end of the pool on most of my sets, only my small year sets can compete and I collect those because of the timeframe of history and what was happening in history at that time interests me. Collect what you want, participate in the registry if you want, compete at the highest level if you have the means and the desire to, it's up to each individual to decide what is important and let that decision drive the focus. 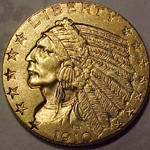 I know many collectors that prefer to collect; and have amazing collections of; circulated coins in the XF to F range that could never win a registry award for highest graded but can compete in other areas because the owners have so much information and photos included into the set and coin descriptions. It is a hobby so enjoy. Pondering about submitting for grading anyone have any idea on grade and value or is it not worth submitting? What are you wanting to submit these for? Do you need them for registry sets? Are you wanting to sell these and feel that they will sell for more in a slab? Want to protect a family treasure that's been handed down? Want to test your grading skills? Any of these reasons and more could be good reasons to submit and each reason has its own motivation. If your looking to sell then you need to decide will putting these into a slab help or hurt the bottom line. Only you know what your cost is on these but lets take the Morgan as an example. This date/mm is super common, biased on the pics it looks real and could grade 64 or 65 imo. 64's sell for $40 to $60 on average in slabs and 65's for $100 to $120 on average looking at past auction results, so the question is will it benefit you to spend the money to submit vs selling raw. For what it's worth I think your Morgan will grade MS64. I don't collect halfs but would expect the 1964 to grade MS63 or MS64, no way to give an opinion on the 1971 with only an obv image. If your goal is to sell, my gut reaction is to sell these raw and avoid the slabbing fees, but that is just my opinion and you will need to decide if you feel the extra fees will result in faster, and higher selling results. Good luck whichever way you decide. Congrats, a nice feel good victory if not a financial one. Still looking, only know of one in PCGS plastic at DLRC, but wrong plastic and over retail price. Give me a shout if you have one or know of one for sale. 1) "Should I send them in all together?" Yes you should as this saves on postage costs. 2) "Is there and advantage to doing so?" See above 3) "How do most of you ship to NGC, box or padded bubble wrap envelope?" I always ship registered mail, it's slow but more secure, rubber banded together with lots of bubble wrap. 4) "What do you about insurance when shipping?" I use my cost, the USPS will not reimburse you over your proven cost. The return shipping will depend on the value after grading. 5) "Do any of you ask for conservation?" I never have but if NGC feels that any coins in your submission can be helped by conservation they will contact you for your approval. Best of luck on your submission, the only advice I can give you is that there is no such thing as a rare Morgan, go to any large show and you will see a sea of them at just about every table you pass. I would caution against sending in any Morgan that can be purchased for under $100, those would not be worth the financial outlay unless you just want to test your grading skills. Whatever you decide enjoy and stop in and let us know how you did. Follow the lead picture post. I sort of get that @Revenant, but is anyone really going to place a premium on this one over all the others? As you mentioned once the rest are released in a few weeks this is just one of the many thousands out in the marketplace and is not really different or special in any real tangible way. I know that I would not pay anything more for it over another but maybe there are some collectors that would find this special enough to pay a premium, I am very often surprised what some find special lol. Interesting but why note on the label that this coin was a mistakenly released coin? Bought this recently from Eagle Eye, best pic for now I'll have to get some decent closeups when I can. So, in regards to another thread, Let's see those NGC CAC stickerd slabs! Good luck on the CAC submission. The bright pink color on the rev is what would scare me on the 26, that is very often seen on copper that has been dipped. I wouldn't say that both of the coins you have shown are for sure no questions asked AT; these days all kinds of Easter egg color coins are getting slabbed; but I would pass on them unless very cheap (say a couple of bucks cheap) and you want to place them into an album. That is especially true for the 26, a very common date that can be found nice for not much money.